I love a good bike ride around Bremerton, a dynamic city where change is constant. Recently, I trekked all the way to the Oyster Bay Chevron station — you remember the story — from downtown. I made sure to fill my trip with lots of interesting stops. Here’s my photographic journey. 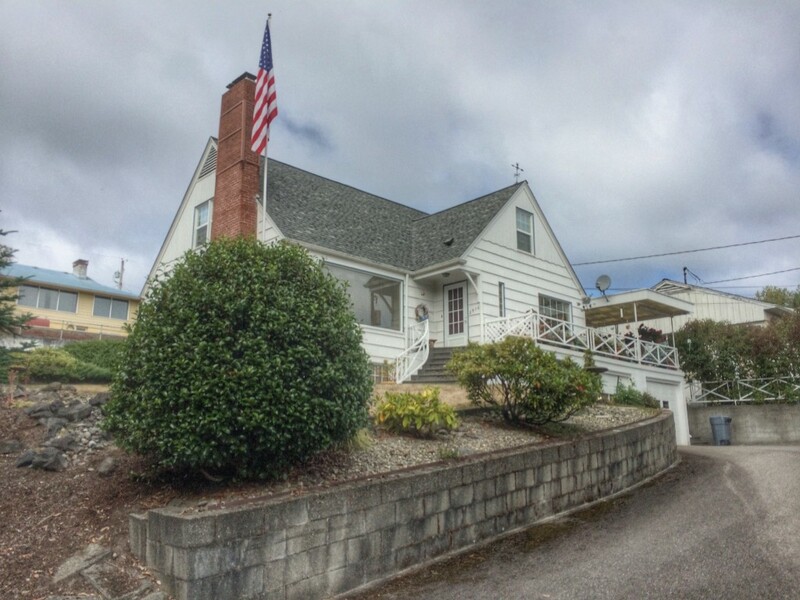 After the hard climb past Callow Avenue, you come to this beautiful house flying the colors. I’ve always found the home very charming. Nearby is Forest Ridge Park, with what I am presuming to be an old fire station. Anyone know its history? My original destination: this mural on the back of the Chevron Station, where I met young artist Lue Brentwood. 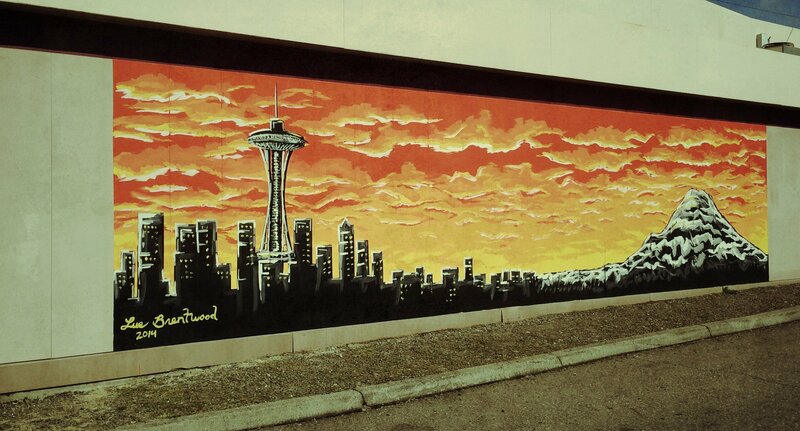 He painted this lovely scene after vandalizing the wall. I plan to check back soon to find out what will happen to the charges he faces. 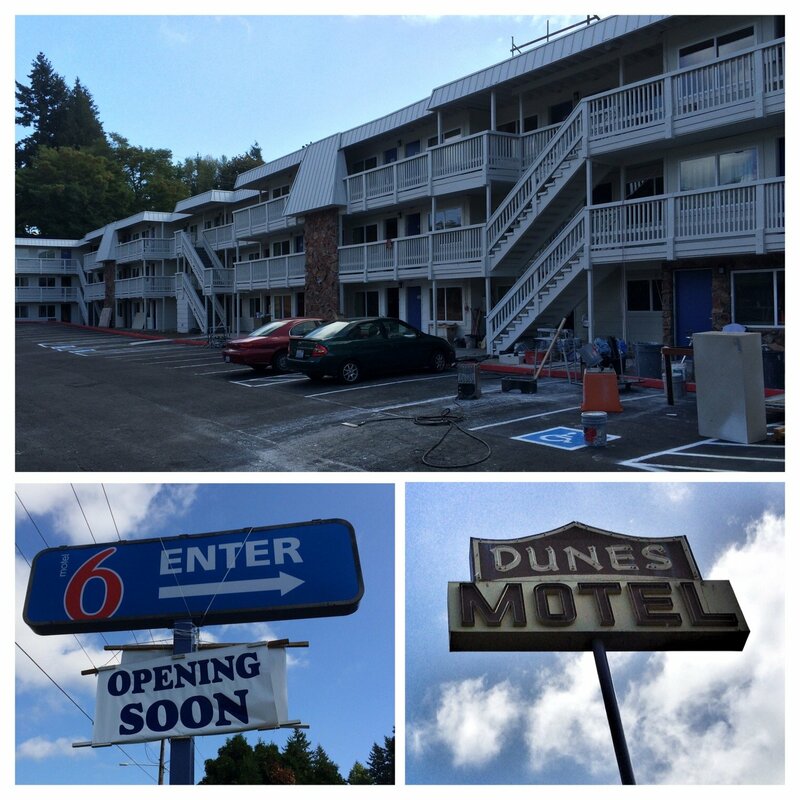 Just up Kitsap Way, the old Dunes Motel is changing hands. Motel 6 will take it over soon. 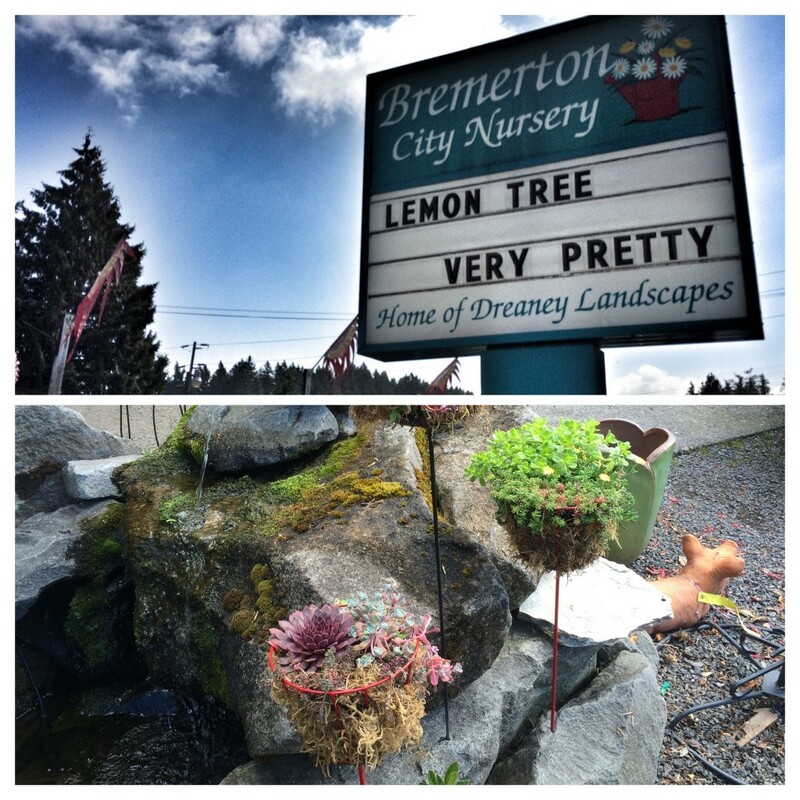 I stopped by Bremerton City Nursery, on Adele Avenue, to check out their new moss-lined “potstickers.” These innovative pots were invented by the nursery. But more on that in a later feature. 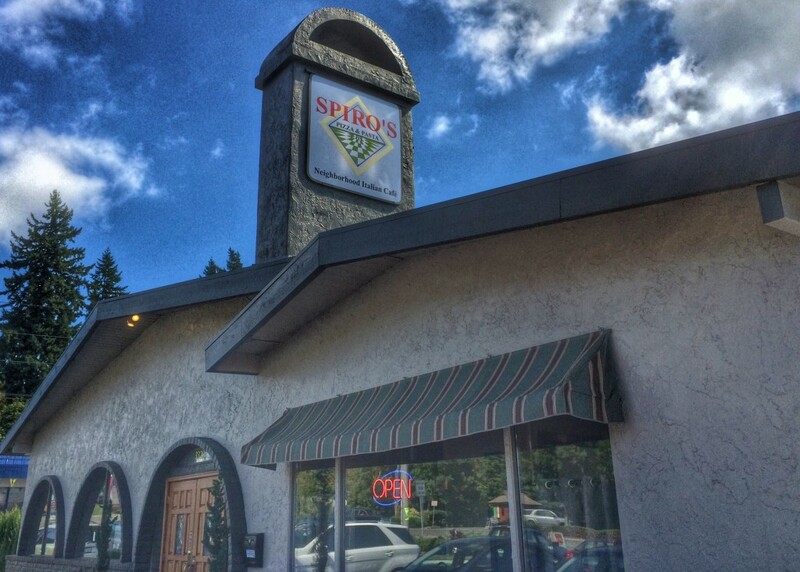 Have you been to Spiro’s on Kitsap Way yet? I’ve heard nothing but good things so far. 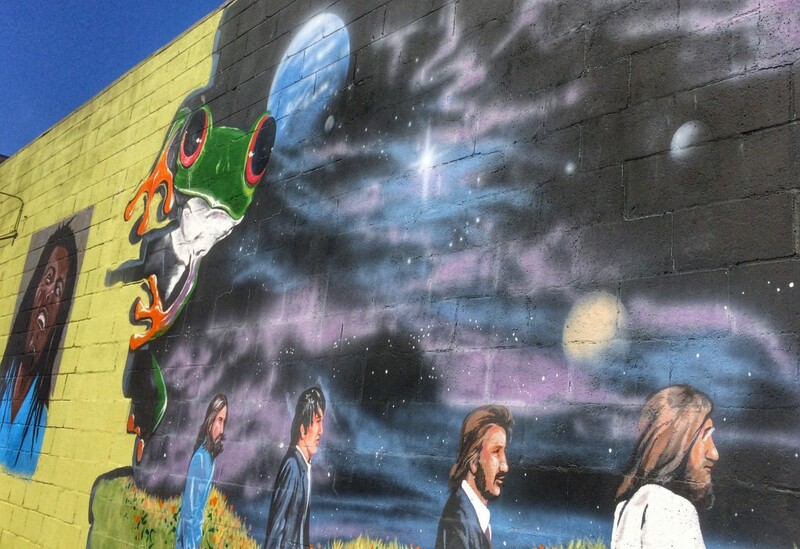 The famous Callow Avenue mural, at Pied Piper’s Emporium. I’d love to know more about how it got there and the artist. 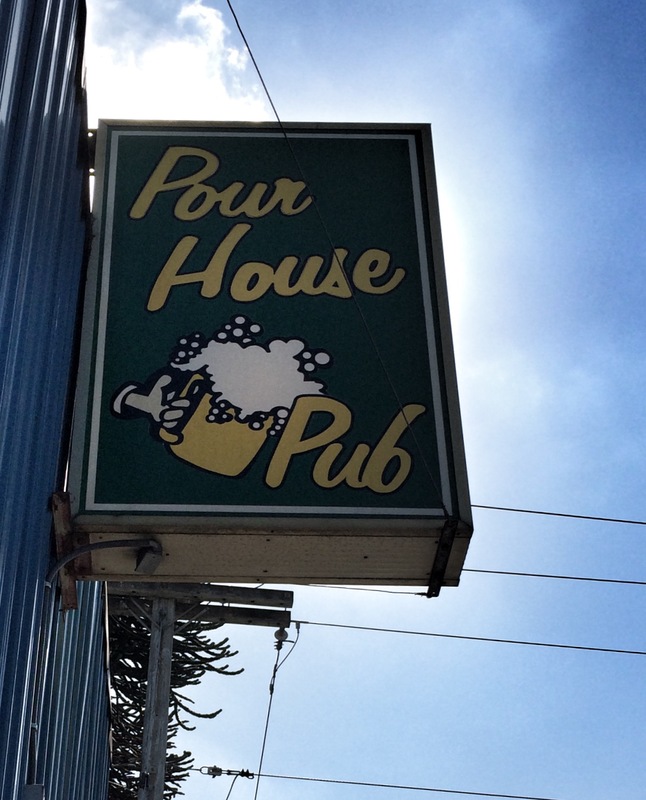 I was sad to see the Pour House pub on Naval Avenue closed at the end of August. Sorry that I didn’t get a chance to write a story about the place, too. Yes, the Bremerton Evergreen-Rotary Park Accessible Playground has been getting (much deserved) ink in the Kitsap Sun of late. But have you seen the other side of the park? The grass has grown in nicely at the 9/11 Memorial, over the top of the old Chevron site. Next, the road you see here will be removed and the park will ultimately be connected together — an sizeable expansion of Bremerton’s busiest park. Wrapped up my trek on the east side, where a number of roads in Manette have been chip sealed, using funds from the car tab increase. Are you a bike rider? Even a walker? Ever want to go for a ride or a walk around town? Drop me a note, I’d love to join you sometime. 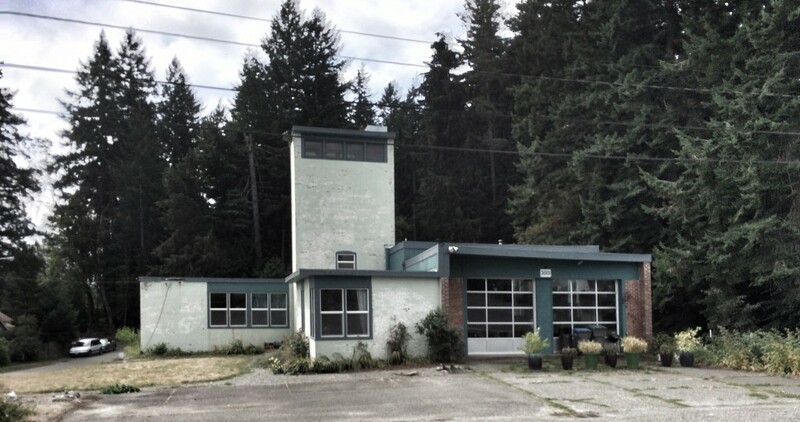 Back in the late 80’s and early 90’s the old fire station by Forest Ridge park was the West Precinct office for the Bremerton Police department. I’d have sworn that my step dad told me that it was the dog pound when he was a kid. Thanks for the history, Robin. I need to get back up and see the chip seal. I suspect you’re right, it really is a temporary fix. I still think it would add immensely to the tourism value of the city if the 9/11 memorial and the Turner Joy were connected by a boardwalk. Ah yes, the Boardwalk proposal. Richard, it’s hard to argue with that it wouldn’t help. I am glad to see that streets have at least been chip sealed. I live in East Bremerton and normally ride my bicycle around the streets of Manette until an injury seven months ago. I will have to check it out when I can ride again. I always thought the Boardwalk was a great idea! What happened to the Bremerton Crime Blog? It’ll be back soon Glenn!